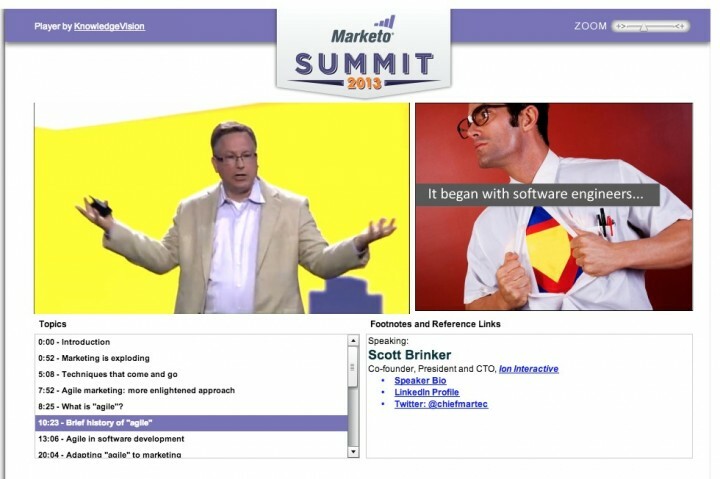 Scott Brinker held the Marketo Summit audience riveted as he showed how agile management techniques developed in software engineering can be applied to content marketing. Fast-paced and entertaining with a magic combination of compelling but simple visuals and an engaging storytelling style, this presentation about agile marketing shows how an event keynote can be turned into durable marketing content that lasts far beyond the original event. 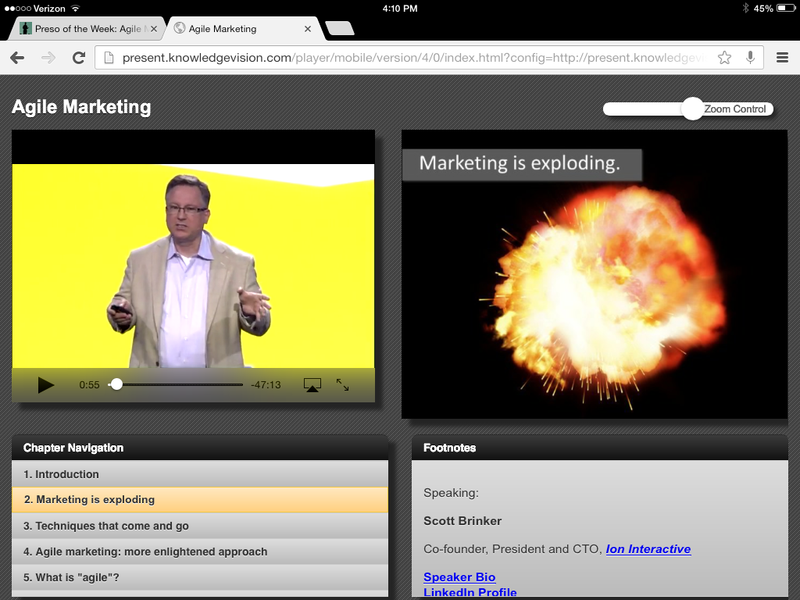 This presentation was produced on the KnowledgeVision online presentation platform, and was recorded at the Marketo Summit in April, 2013. Each week, we’ll be selecting a recent online presentation that struck us as particularly interesting and effective for our audience. We invite ideas and submissions of content that are topical and apply best practices in online presentations. Share a link to one of your favorite online presentations in the comments, or write to prezoftheweek@knowledgevision.com.